Triennale organises all-year-round congresses, cinema festivals, temporary exhibitions and once again it is participating to the Milan Design Week 2011, from the12th to the 17th of April. During the design week Milan is animated with installations, events, conferences and exhibition in strategic points. One of these is the State University. "Università statale degli studi", "Milano", "design", "installation"
The Brera Design District's project s are back during the 2011 Design Week in Milan. New interesting rendezvous are proposed in the area, involving historical design brands, new showrooms and all the activities related to the prestigious area. On Friday 1st of July 2011, the winners of the 1st edition of the A'Design Award and Competition were awarded. The winning designers from all over the world attended the gala night at the historical Villa Gallia, on the shores of the Como Lake. This Textile Design Show was organised by the Consortium Comocrea, in collaboration with Villa Erba spa. 9. “Italian Design, Design Betrayed?" The event, organized by CulturAperta opens the debate on today's role of design, confronting famous people in the industry. The award ceremony on 1st July 2011 in Como, Italy was the culmination of the A'Design Award and Communication's first edition. 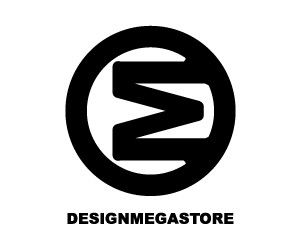 Design Mega Store is the shopping mall for design. A super-market, a megastore for design, more like an outlet; designers and design studios can sell their products and services online. No middleman involved. Designers and design studios can sell products directly from their own websites using their own payment platform. Learn more about this platform and how to use it to generate revenues, please contact the website. 12. Olena Sydoruk has won A' Design Award in Arts, Crafts and Ready-Made design category. Olena Sydoruk won the 2011 Golden A' Design Award Winner in the Arts, Crafts and Ready-Made Design Category, with her Flow Coffee Table & Stools . A' Design Award and Competitions is proud to present the winners of the first edition of the event. With 2500 submissions, 24 categories and 69 winners, this first edition has been a real success and thus positioned itself as a main event on the international design competition scene. Design Awards and Competitions are great for promotion, but they require more than just creativity to win them. Here are 20 strategies to become a design award winner, and have your designs labeled as award winning design. How to impress clients, influence an award jury or inspire your professors with your designs presentation? 16. How to find participants to join your design event? This article explains ways and tips to find participants to join your design event. This article talks about how to find companies to sponsor for your design event and how to convince them join your side. Has it happened to you that you have an idea, almost a perfect design idea which you design and add to your archives later to figure out that a very similar project has already been published and a designer has already been cited. Is this designer more creative more intelligent than you? No, she is bolder. 19. What is Advanced Design, Who is an Advanced Designer? Today, the definition of a designer has become vague and wide, everyone is designer, everyone is an artist. Your neighbor is a food designer when she creates a cake! Your neighbors' little daughter is an origami designer, and your neighbors' five year old kid is an upcoming artist, her husband is the best garden designer, and everyone is a designer. It is true, they are indeed designers as the definition of design today, so lets' separate advanced designers from the designers. Is Crowdspring Providing a Basis for Legal Design Theft? (Case Study). Recently I have joined a competition organized on the Crowdspring platform, it was an industrial design competition for designing a customizable ring, from the organizers’ point of view it was a great success for 1000 $ only 27 designers participated with 158 designs and the winner got a great design, however from my personal point of view on the subject as an aspiring academic, it is an example and unfortunate case of legal design theft for everyone involved, including the winning design. Here, I am reflecting my experience with the platform. 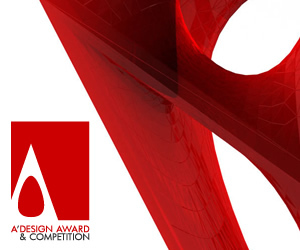 A Brief introduction & history of design awards and competitions; what is the first design competition organized, how did design competitions changed over the centuries? Read to learn. Who is the best designer in the world? Which designer is the worlds' top designer? Checkout Designer Rankings. Do you want to know how some designers come up with incredible their design ideas? Then read the designer interviews. Introducing a free platform that shares only the award winning designs. This article discusses how, and in which ways design competitions could be utilized for integrating end-users to the design process. What do institutions want to achieve by organizing design competitions? What is the business model of new design competitions such that companies take such a great part in these events? This artcile explains how to get in touch with blogs for advertising your designs without any payments. Design space is look back at the textile, interior and fashion trends our designers have seen over 2012. Slow Seating: Contemporary Chinese Design in Tortona Milan Design Week 2012. Tortona is the area that everyone associates with Design Week. Chairs design is an exhibition of art, design and contemporary creativity, translating the confluence between the cultural and creative activities and the furniture sector of Paredes. Creativitea*, leading design agency based in Surrey, has announced that it has won two awards from international industry leading A’ Design Awards for two projects recently completed for its clients. The team won a Platinum Award for an animated character, designed to differentiate the S4NITY brand, and a Golden Award for packaging, designed for MediaDevil, using economical materials. Welcome to Kitchen Design where you'll find a selection of kitchen and home cabinetry to fit your active life and personal style. If you win a decent design competition, you should be generally granted a right to use their award winning design logo or design award winners' logo, this article explains how to use these these logos to get the most out of your award winning project. This article describes how to use the design mega store, i.e. how to upload and sell your designs. Renown British designer receives recognition for his extraordinary efforts to promote greater understanding between cultures and to build cultural bridges between East and West. A specialized trade fair for industrial designers to meet product manufacturers to sell their designs, creations and innovative ideas. 43. Why a good design award should cover more categories? Design Contests are a popular procurement way for design, however several controversies arise. 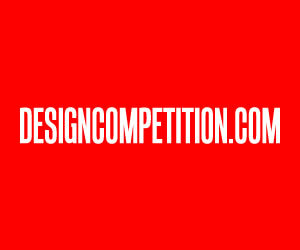 This article discusses the controversies about design contests. Did you wonder why Design Sweepstakes Attract More Participants than a Normal Sweepstake? Learn why. This article discusses the steps and order of developing a visual communication strategy for a design award or competition. 49. Do you really need to beg for winning a design award? This article discusses pros and cons of public voting schemas used by some design competitions and awards, the methodology used is experimentation, observation, and first-hand experience supported by political science and economics theories. Here are some drawer handle designs that are good examples of organic design. Inspired by nature, these pieces of furniture are good examples of organic design in action. With their soft and smooth forms and unique characteristics, they are a distinct alternative to production-oriented modernist furniture. 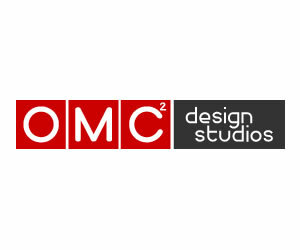 OMC DESIGN STUDIOS have designed a children's table and chairs collection, that responds to parents and children requirements as well as safety regulations. To keep them safe without preventing them from learning and exploring, the table and the chairs have soft and rounded edges so they can keep on running around. Light but sturdy, all elements are easy to carry and move. Made in plastic, they are easy to clean and coloured with non-toxic substances. "Childrens' Furniture", "Plastic Furniture", "Design for Kids", "Kids", "Children"
53. Half a century! Happy birthday Salone! Cosmit is the company that organises the Salone Internazionale del Mobile di Milano, launched in 1961 by a small coalition of furniture manufacturers from within the Federlegno-Arredo trade association with the aim of promoting the exportation of Italian furniture, and which soon became the most prestigious international event in the world of furniture design and production. "Mobile trade fair", "design", "forniture trade fair"
54. Salone Satellite 2011. Largo ai giovani! The salone Satellite was created in 1998 as an exhibition space dedicated to the under 35. It covers two pavilions at the Rho Congress centre, the entrance is free and takes place during the same days of the International Furniture Fair (12-17 April 2011). "young designer under 35", "design"
The Zone Tortona is a aera in Milan comprises between the Naviglio grande and via Solari. This aera has been reconverted and developped during the years, transforming the farming then industrial zone into new residential complexes and cultural spaces. "zona tortona", "design", "event", "installation"
"June" by Francesca Alai at the International Furniture fair 2011. "design", "International Furniture fair 2011", "coffee table"
On the 16th of april, at 04.00pm, MOMENTGRAPHY was born. Wherever you were, whatever you were doing, even if you had to put the alarm-clock to wake up and then go back to bed, you were to take your camera and immortalize that moment. "event", "social network", "design", "Photo", "installation"
61. How is it going “MATE”? From the Utson Opera House's iconic architecture to the gloden beaches of Bondi Beache, Sydney is an explosion of life and creativity in constant expansion. People are cordial and sociable, always smiling and opened. In this idyllic and warm atmosphere, miles away from a deep and prominent historical culture, exhibitions, conferences, workshops, meeting and installations are organised every single day! "Not only ceramics ..." it is how the wonderful world of Cersaie interacts not only with the professional world, but also to a wider and varied audience, offering a network of dedicated events. The Made Expo 2011 recorded an increase in visitors of over 10% compared to last year. Conferences and special initiatives have filled this event, making it increasingly attractive to its international audience. A new phenomenon is invading the windows of all the most fashionable stores in Italy. 69. “Italian Design, Design Betrayed?" Online Publishing Platforms are on the rise, but their usability is worse than ever. I would like to share, as a professional designer in the field, some insights about how new online publishing platforms should be made. Here I’m going to list a series of functions required based on the timeframe of interaction. 76. How to find participants to join your design event? 79. What is Advanced Design, Who is an Advanced Designer? Are you frustrated with joining design awards and competitions, spending your time and effort yet always getting nothing? Don't be. Politecnico di Milano Students presented their innovative design solutions and insights at the unpacked exhibition. DEDE DextrousDesign won the prestigious Silver A' Design Award for their FA.B. Fabric Bookcase, an eco-focused, sustainable book storage system with minimal environmental impact. 'Have you got sails? If you have we recycle them'. Passion for Sailing brings Dvelas studio to a succesful clever design. Learn how to prepare an EAN-13 Barcode (Product Barcode for European standards) to place on your products. Read more to learn all the facts you need to know about EAN-13 barcodes. “Furnitures of a Concrete City” : City furnitures that look like home furnishings. These designs were created with a sole reason: to carry the homefeeling to the cityscape, to remind us that a city, bringing together people and communities, is a big home. To create an interior-space outside, the designer used forms that we see in our homes such as sofas, couchs, torchiere lamps. The objects are to be realized on location by casting them in concrete into a metal mold. Products designed by the designer Onur Mustak Cobanli, research style building on and emphasizing the characteristics of the metal. Some limited edition coinboxes, designed by Onur Müstak Çobanli: his inspiration and ideas. 107. Half a century! Happy birthday Salone! Operae was born at Turin, between the 4th to the 6th November 2011 as a platform of meeting, sharing, exchange and developement of the design at Turin, also thanks to the confrontation with international models. 116. “Italian Design, Design Betrayed?" 119. Olena Sydoruk has won A' Design Award in Arts, Crafts and Ready-Made design category. 124. How to find participants to join your design event? 127. What is Advanced Design, Who is an Advanced Designer? 139. Which advertising and communicative materials to distribute in a Trade Fair? What is kept and what is thrown? You could distribute literally anything. But what works? What does not? Here are few insights we gathered during the latest Milan Design Week. 157. “Italian Design, Design Betrayed?" 159. Olena Sydoruk has won A' Design Award in Arts, Crafts and Ready-Made design category. User centricity is as critical as knowing that sketching wildly is not an auspicious beginning, or is it? La Consolle Fatale is a wooden frame furniture piece, dressed with fabric. It interprets the textile element as a source of identity – just like an outfit worn by a woman – and plays on the ambiguity of considering the same furniture as a dressing body. The project investigates the textile element on the furniture, not as an upholstery fabric, but both as a "structural part" and as a dress worn by a woman. La consolle Fatale has been exhibited at Fuorisalone Milan (DesignWeek) by Italian studios: Silvia Guarnieri Design and Spectacularch! by Sandra Marchesi and Francesca Perani. 164. Trilly, the new lampshade by Di Marzio Design ispired by “Fairy dust”. A glance at the new trends of Fuorisalone, especially those in Via Ventura and Via Tortona areas. Colours, materials, sensorial experiences and innovation are the key words of the projects driven by an army of young people, by design academies of all over the world, but also by new characters, which decided to deal with design for the first time showing outstanding projects. Impressions and comments about Salone del Mobile, the most important European event on Design, with more than a thousand expositors. After visiting Via Tortona and Ventura Lambrate (read my prevoius article: http://www.designamid.com/magazine.php?pageno=375), I move to Fuorisalone in Zona Brera, where academies and young designers are replaced by the masters of the industry. 168. Fuorisalone zone Tortona: design through the 5 senses. Reportage of the sensory journey through the designers’ works and compositions during Milano design week 2015, fuorisalone zona Tortona. Here you will see what I saw in my first day of visit in Milan in occasion on the Design Week. Hopefully you will enjoy it as much as I did. Technology, eco-sustainability and self production were, among many others, the hot topics of this Milan Design Week. Exposures FuoriSalone 2015 ranged from Tortona to Brera areas. There was something for every taste, from drones to 3D printers, from automotive to smartphones, from TVs to credit cards and more. We visited Politecnico Exhibition DesignxDesigners for the design week,the PoliStore, and Fuorisalone at Via Tortona. 182. Milan Design Week 2015: The stage of design. Creativity in the spotlight. The new design trends, which affect the industrial production of furniture, in the interests of simplicity and essentiality. Reporting a walk along Via Tortona, between exposures of Fuorisalone fot the Milan Design Week. Self-productions and big brands, exhibitions and temporary shop: an afternoon about creativity. Importants concepts emerge from the air at fuorisalone of design week. All companies looks for products and environments that involving people. They try to include more meanings in one product or service. The keyword is fusion. design, fuorisalone, technology, innovation, nature, fusion, trends,product, materials, project. KINDER relies again on the community of Desall.com to research innovative ideas. Take part in the new contest THE GAMES OF THE WORLD, exploring games, traditions and modalities regarding the way children play around the world and reinterpret these games for the KINDER brand. Fuorisalone: creativity and innovation in the square, with a series of exhibitions, festivals and events organized by the main Milan's companies and young designers. Each year it gives the opportunity to Milan to show its style to coincide with the appointment of Salone at the Fiera of Milano. The Fuorisalone 2016 have been rich of events and of exposures, many innovative valid and material projects all to be discovered from all the parts of the world. 2016, April 13. The Tortona district is home to the exhibition of some solutions that will influence the habits of our future. The technology will offer us a new way to draw, drive and even perceive reality with the sense of sight. "st-origami"," moleskine", "fuorisalone", "via tortona"
This year again the Fuorisalone took place in Milan simultaneously at the Salone Internazionale del Mobile. It is an appointment key to define the Design week. The events were distributed in different parts of the city, of which three main: Tortona Design Week, Brera Design District, Ventura Lambrate. Here the design theme is addressed in all its aspects by artists and designers from around the world. In Tortona in Milan as every year to April the district ignites and is filled with young people, entrepreneurs, firms and a lot of a lot of ideas. A trip to the discovery of this unbelievable event, surrounded from hundreds of exposures and in an involving atmosphere of novelty. From 04/12 to 04/17 Milan became a mix of culture, design and art, thanks to the "Fuorisalone"
199. Salone del Mobile 2016: to the search of the good design. Fuori Salone brought news and innovations in design. 202. Half a century! Happy birthday Salone! 203. Salone Satellite 2011. Largo ai giovani! 210. How is it going “MATE”? 217. “Italian Design, Design Betrayed?" 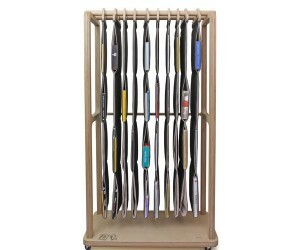 "stukk", "Francesco Bordin", "laptop stand", "designer laptop stand", "forex", "expanded pvc", "stukk.it", "Italian design"
Sunday grill introduces a revolution for the barbecues market signed by Emo design. It’s LIQUID International Contest 3rd edition Submission Deadline: September 15, 2013 Public vote Deadline: September 30, 2013 It’s LIQUID Group, in collaboration with International ArtExpo, is proud to present “It’s LIQUID International Contest 3rd edition”. The contest is born with the goal of promoting contemporary art, architecture and design through all the divulging tools that the communication platform It’s LIQUID has used for years (press release, mailing list with more than 100.000 subscribers, international contemporary art and design events realization). 230. Trilly, the new lampshade by Di Marzio Design ispired by “Fairy dust”. 236. Fuorisalone zone Tortona: design through the 5 senses. During the Milan Design Week in Tortona zone, Tortona Design Week, there are many professionals and international companies already established in the world of design but also young and creative designers. Industrial Design, Communication, Installations and surprising sensory experiences become protagonists of the Fuori Salone, they are characterized by different styles, inspirations and trends which make unique all the DesignZone. 254. Half a century! Happy birthday Salone! 263. “Italian Design, Design Betrayed?" 266. Olena Sydoruk has won A' Design Award in Arts, Crafts and Ready-Made design category. 278. Fuorisalone zone Tortona: design through the 5 senses. The event of Salone del Mobile, in opening April 14 to 19 in Milan, Rho, Fair Zone is captivating and faschinating. The same structure which ospitate the most important meeting on Design at the international level is the result of the creativity of one of the most famous architects, Massimiliano Fuksas, who won the competition for the realization in 2005. It has the shape of a big ship with a huge sail, were required 19.000 drawings and 8,800 tons of steel to make, and inside the Salone del Mobile is divided, as usual, in the halls Classic, Modern and Design , Furnishing and SaloneSatellite to which this edition is combined with the biennial Euroluce and Workplace3.0 / Office Lounge dedicated to the work environment. One of the strengths of the Fuksas's project is to have thought about the structure like a miniature city: there are offices, restaurants, pubs, green zones and also water mirrors, totems and sculptures that create amazing spaces. This great meeting with the Design Culture precedes the next big event, a meeting of all cultures, Expo "Feeding the Planet. Energy for life." It's a creative journey, heady, exciting and overwhelming at the same time. Inspiring, almost dazzling, is a kind of epiphany, is the discovery of an incredible world. A journey through the streets of Zona Tortona among the excellence and innovations of design from all over the world: a mix of sensory experiences and new technologies, with an eye always carefully open on the sustainability topics. The innovative processes and materials much more simplify the “home made” production. Also the “handmade” design gains a prominent position at the Fuorisalone, thanks to the determination and the ambition of the large number of young people who endeavor to improve their work and to always take it to a higher level.